Software-defined wide area networking (SD-WAN) has been essential in supporting the efforts of enterprises seeking to be more responsive to customers and offering them a personalized experience. As this focus envelops the entire value chain, organizations are seeking new ways for technology to improve agility at an affordable cost, all in the name of cultivating better customer experiences. Digital transformation has wide-ranging influence but it may be best felt in application development. DevOps are moving faster, innovating through microservices architectures (MSAs) to push through more and better application development. In order for this DevOps push to be effective, it needs an automated and software-driven networking approach. One of the notable features of a modularized software development strategy is that the services supporting applications are no longer housed in a single server. An employee located in a branch office may be accessing an application that is communicating with services hosted in containers or on multiple servers located in any number of data centers or on the public cloud. Except for instances of jitter or latency, the location of the application isn’t related to the performance. That location is pretty important to the IT manager overseeing security and permissions or managing network connectivity, particularly if the services are being managed in separate siloed systems. In order to support the agility and responsiveness of DevOps and MSA teams, it’s critical that they have access to the network and virtualized infrastructure in as simple a format as possible. Many enterprises, whether grown over time or in fits and starts with mergers and acquisitions, are working with complex networks with a variety of access points. From optical and Ethernet lines to copper xDSL, all branching out from the main hub of the network. Various technologies are involved to support connectivity, from multi-protocol label switching (MPLS) to broadband Internet and 3G/LTE. The complexity intensifies when considering data centers where a mix of virtual machines and bare metal servers allow a small mistake in provisioning to compromise the entire application. The time and costs involved can eliminate all of the savings achieved with MSA and remove any purpose behind agility measures through DevOps. Fortunately, enterprise IT has a solution through SD-WAN which was originally used to manage connectivity between branches but has expanded to offer network management that is more flexible, as well as automated and secure. It’s highly responsive and flexible for the support of a set of highly-distributed cloudapplications. It also helps control IT costs. While SD-WAN was originally run as a separate solution, SD-WAN now is often required to function as an extension of public clouds, branches, and data centers across a WAN transport. 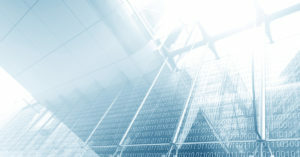 A seamless SDN and SD-WAN combination model is capable of programming and automating the connection for applications that come from virtual machines or services that are hosted in public clouds. The applications can be accessed by users on the network or the WAN, providing full connectivity. The new approach to SD-WAN offers a unified abstraction of the network, allowing a single control and governance center and automating tasks as well as reducing costs. This approach allows complete visibility and protection, as well as centralized analytics, to understand network performance and the impact that applications have on different elements on performance. It offers a predictable and secure network that supports agility, which, in turn, supports efforts to ramp up responsiveness to customer preferences and demands. To learn more about the potential for SD-WAN 2.0 for your customer responsiveness objectives, take a look at this checklist brought to you by Wanify.